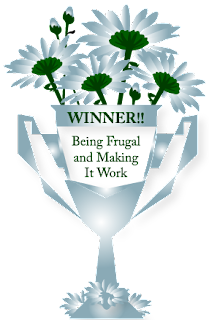 Being Frugal and Making It Work: Giveaway Winner Announcement: Martha Stewart Pets Prize Pack! 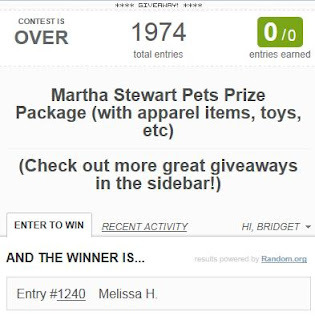 Giveaway Winner Announcement: Martha Stewart Pets Prize Pack! As an animal lover, being able to make another pet happy made my evening! 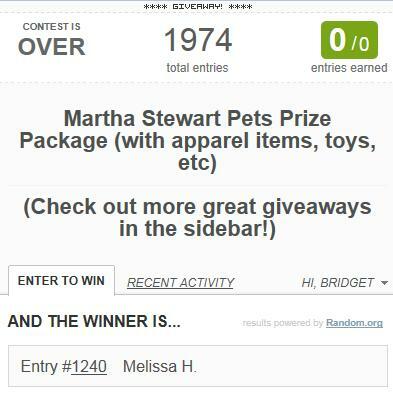 It's time to tell you who won the Martha Stewart Pets prize pack. I hope your furry friend loves their new toys! I would also like to thank PetSmart for making this pampered pets giveaway possible for my readers.